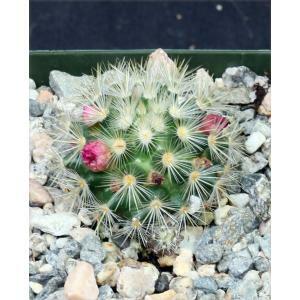 Mammillaria laui is from Tamaulipas, Mexico. This short globose species forms clusters, and each light green cylindrical body has whitish spines. Subspecies subducta, which is the lowest elevation form, has numerous central spines that are fairly stout. The flowers are reddish-purple. 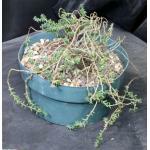 These plants are seedlings in 4-inch pots.